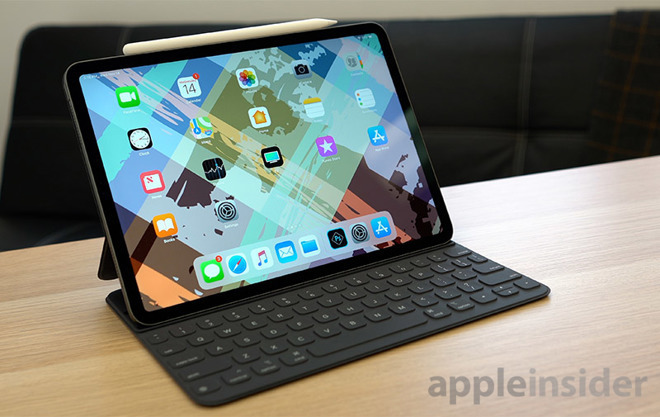 Apple on Friday published a new series of iPad Pro advertisements that depart from past commercials by positioning the tablet not as a PC replacement, but as a "new way" of accomplishing various tasks, from taking notes to podcasting. Published to Apple's official YouTube channel, the five shorts run just over a minute each and highlight unique iPad Pro capabilities including powerful hardware, integration with Apple Pencil, access to a bevy of iOS apps and more. Like previous "how to" ads from Apple, the iPad Pro spots released today highlight both first- and third-party software. Each commercial was filmed, edited and designed on iPad Pro. The first ad, "A new way to take notes," shows what users can do with iPad Pro's Smart Keyboard Folio, Apple Pencil and note taking app Notability. Beyond typing and writing notes, the app supports convert to text functionality, a feature-rich drawing tool, camera and microphone integration, and a search tool with handwriting recognition. In "A new way to design your space," Apple throws a spotlight on its own Measure app, which leans on augmented reality technology to enable three-dimensional measurements of a user's surroundings in real time. With a photo from Measure, Apple moves into CAD sketching app Morpholio Trace to add in shelving with Apple Pencil. Next, the AR-capable Houzz app is employed to test out what furniture looks like in the space. The user takes a screenshot of a couch, marks it up with Apple Pencil and sends it via Messages. The ad ends with a Face ID purchase processed through the Houzz app. The iPad Pro's camera is on display in "A new way to go paperless," which walks viewers through a tutorial on iPad Pro's built-in document scanning feature. Once a document is "scanned" in the Camera app, or photographed and automatically corrected for color and orientation, users can sign and send the digitized version in Mail. Apple goes on to tout iPad Pro's drawing and sketching capabilities, which can be used to draw in Paper by FiftyThree, edit text in Microsoft Word and log receipts in Shoebox Receipt Tracker. The ad wraps with a reference to iCloud, where users can opt to store content saved to the aforementioned apps. Apple shines a light on its Keynote app in "A new way to create a presentation." With Keynote, users can create professional presentations with text, drawings, photos, video and more. Apple shows off Split View when adding graphics to the piece, while AirPlay gets a mention as an easy way to display the work on a larger screen. The last ad, "A new way to host your own podcast," features podcasting app Anchor, which can be used to record and edit audio from a USB-C microphone. Users can turn to Split View to keep notes handy during recording sessions, create a soundtrack with GarageBand, drag and drop audio content from Files and listen to the results in Apple Podcasts.